The journey by train from Hat Yai to Surat Thani takes from slightly over 4 hours to just under 7 hours depending upon which train you take. All train services from Hat Yai to Surat Thani are daytime services arriving before midnight in Surat Thani. 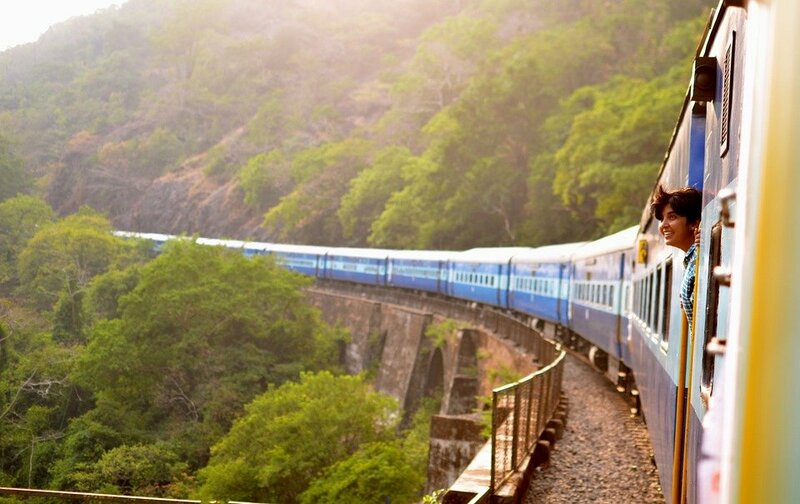 If want to travel from Surat Thani train station to Koh Samui or Koh Phangan then you need to either take the first train of day or spend one night in Surat Thani before travelling onto the islands the next day. There are 7 direct trains per day from Hat Yai to Surat Thani. The fastest train from Hat Yai to Surat Thani is Train #42 (departing at 16.23) which is scheduled to complete the journey in 4 hours 08 minutes. The slowest train from Hat Yai to Surat Thani is Train #448 (departing at 10:58) which is scheduled to complete the journey in 6 hours 57 minutes. Use the Search Box to find ticket your tickets from Hat Yai to Surat Thani. The first two trains of the day are ‘Ordinary’ trains which means the only type of seating available is fan cooled 3rd class seats which can be hot and comfortable. The best train services are the last three trains of the day which are ‘Special Express’ trains. Train #42 is a three carriage sprinter train which has air-conditioned seats and the ticket price includes a meal and drink brought to your seat. The next train services, Train #38/46 and Train #32, are trains with restaurant cars and sleeper berths which are set up from about 20:00 in the evening. If you book one of these sleeper berths on the journey from Hat Yai to Surat Thani you can spend a few hours relaxing lying down before you arrive in Surat Thani, which is good if the train is delayed. Booking online in advance is slightly more expensive than buying your ticket at the Train Station. However, the advantage of booking your train in advance is that you can guarantee to get the best seats. If you go to the train station on the day of travel to buy your ticket the only seats available may be hard seats in 3rd class. Hat Yai Railway Station is 2.9 km away from Hat Yai Bus Station. Travel between the bus station and the train station costs 40 to 60 THB either on a motorbike taxi or in a local taxi van. Motorbike taxis and taxi vans wait for passengers on the road in front of the bus station. Agree a price before you start your journey. Hat Yai Railway Station is at the eastern end of the Thumnoonvithi Road which runs through the centre of Hat Yai city. 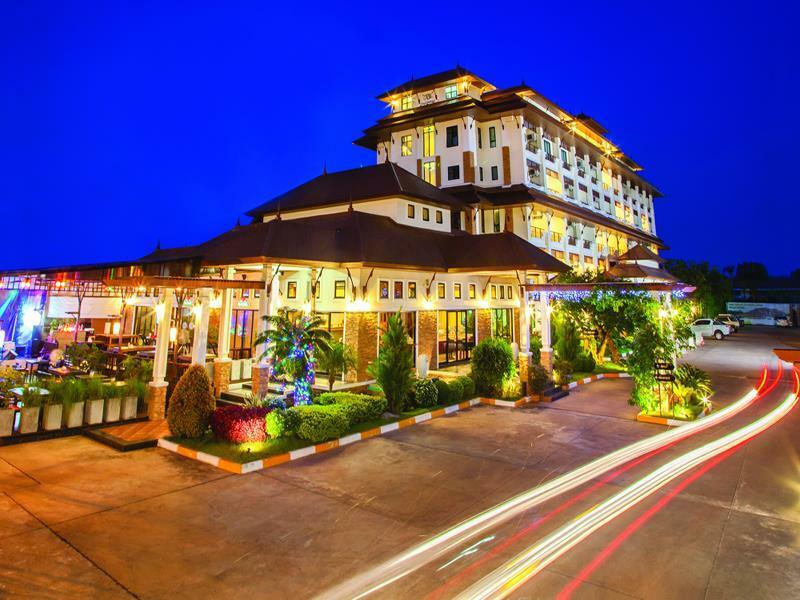 The best hotels, restaurants, bars and shopping centres in Hat Yai are all within a 1 km walk of Hat Yai Railway Station making travel by train a convenient way to both leave and enter the city. Unlike Hat Yai Railway Station, Surat Thani Railway Station is not in the city centre but 16 km to the West of Surat Thani city in the small town of Phunphin. During daylight hours there is a cheap local bus service departing from outside of Surat Thani Station which takes about 50 minutes to complete the journey into the city centre. The bus fare is 18 THB per person. The journey by taxi from Surat Thani Railway Station into Surat Thani City is a lot quicker (at night time under 20 minutes) and reasonably priced at 140 to 160 THB if you take a taxi from the rank to the left side as you exit the station building. The prices of the different journeys are printed on a sign attached to the roof of covered waiting area for the taxi drivers.